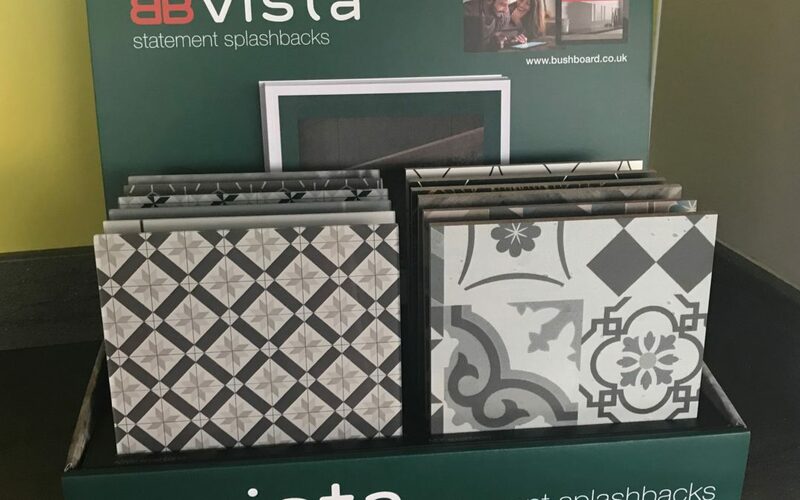 Bringing colour, pattern and a funky new look to kitchen walls recently launched Vista splashbacks have been an outstanding success for Bushboard. 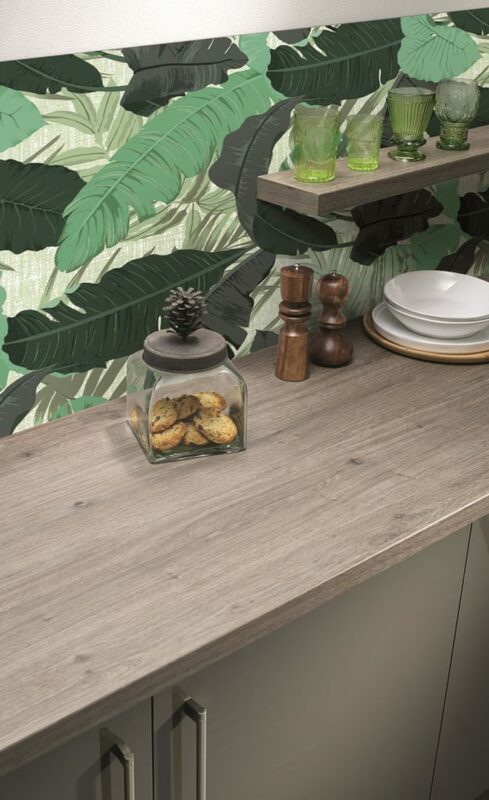 Hundreds of kitchen specialists have listed the new range that includes a compelling showroom lure like Summer Palms (below) along with Moorish patterns, geometrics, weathered London brick, metro tiling and vintage prints are just some of the inspiring options in the new collection which includes 14 designs in 9mm mdf and six in 4mm acrylic. 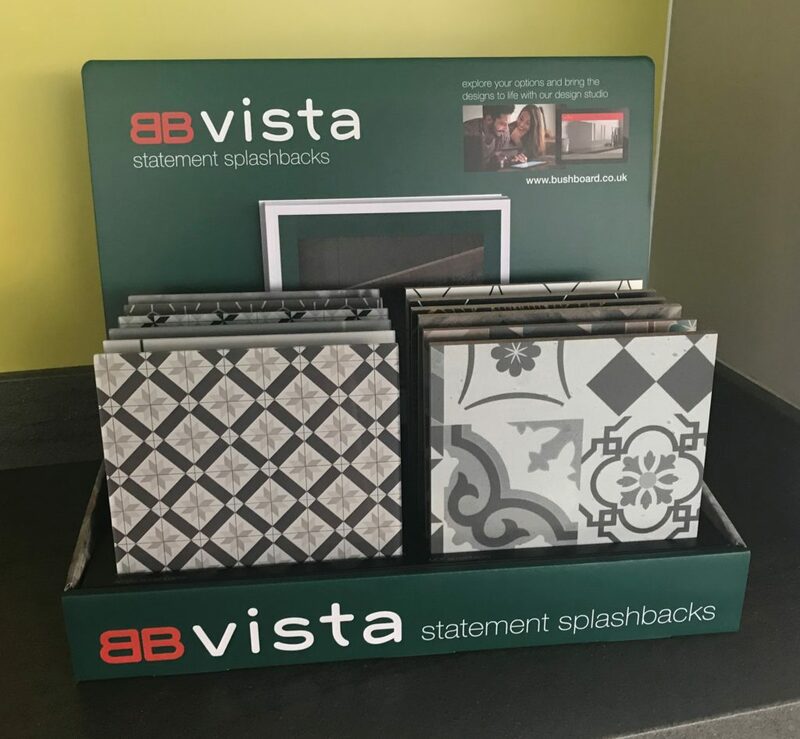 Vista 9mm statement splashbacks are easy to install using the company’s BB Complete adhesive and sealant range. There is an installation, care and maintenance leaflet with every splashback and products carry the Bushboard lifetime guarantee. Captions: Top: New Display Box for Bushboard Vista Statement Back Splashes. 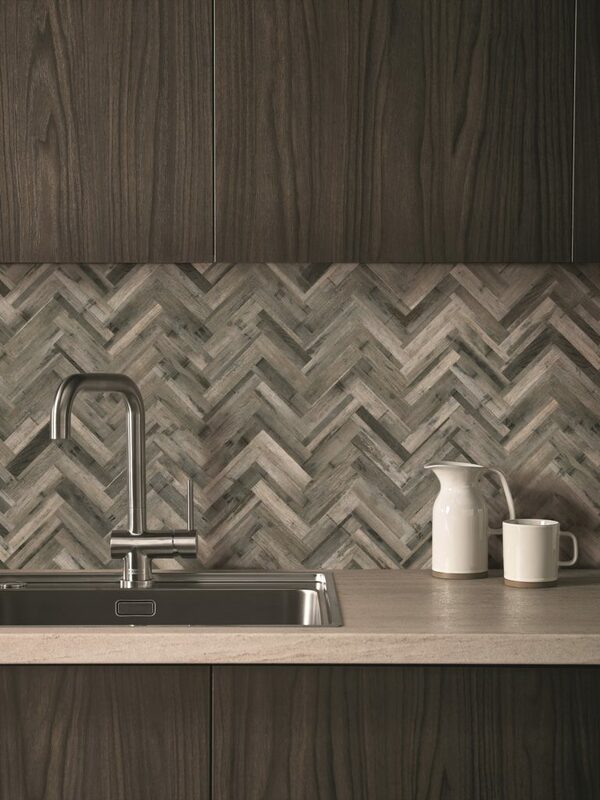 Bottom: Splashback: Herringbone I natural MDF Worksurface with Omega Urban Stone in fusion texture. Middle: Summer Palm MDF splashback with Omega Tobacco Oak worksurface in ultramatt texture.